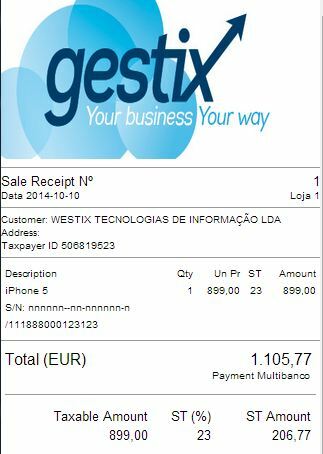 Normally, Gestix considers all sales documents as sales. 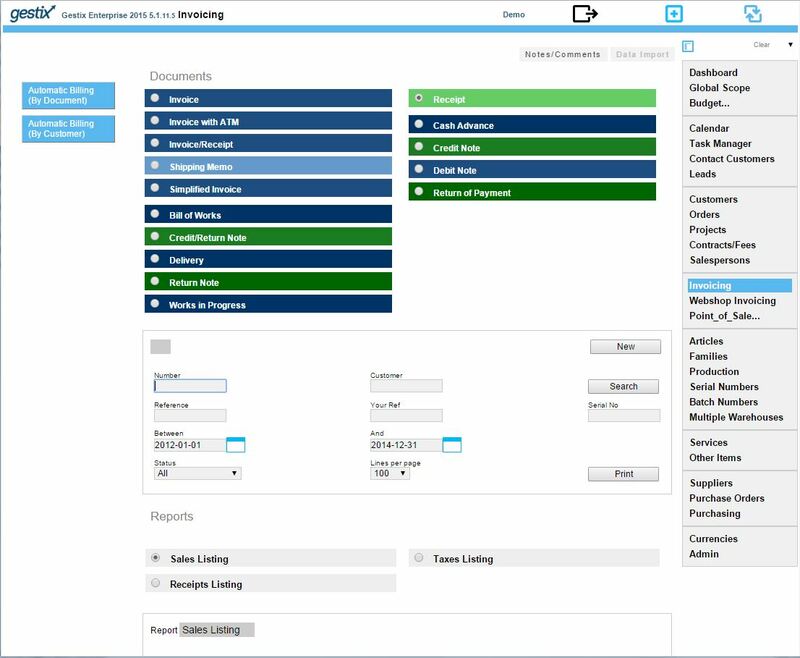 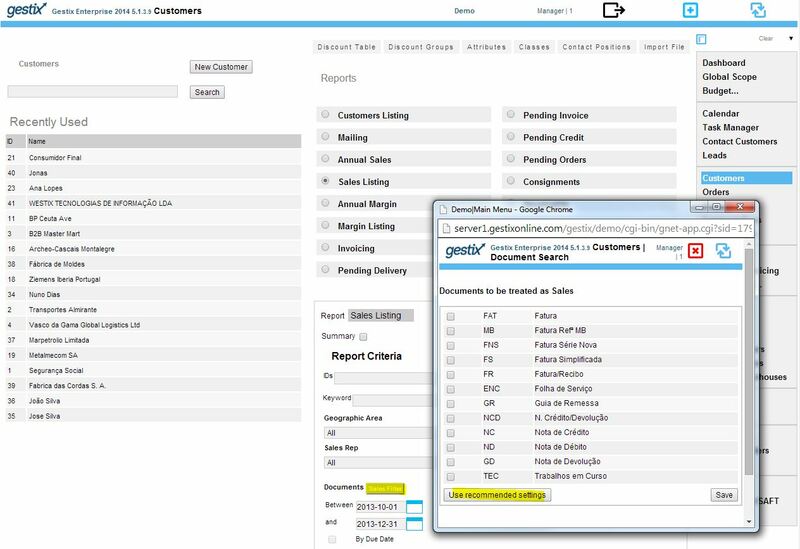 To select which documents are considered as sales and which document are not, on the Customers menu tap the Sales Filter button. 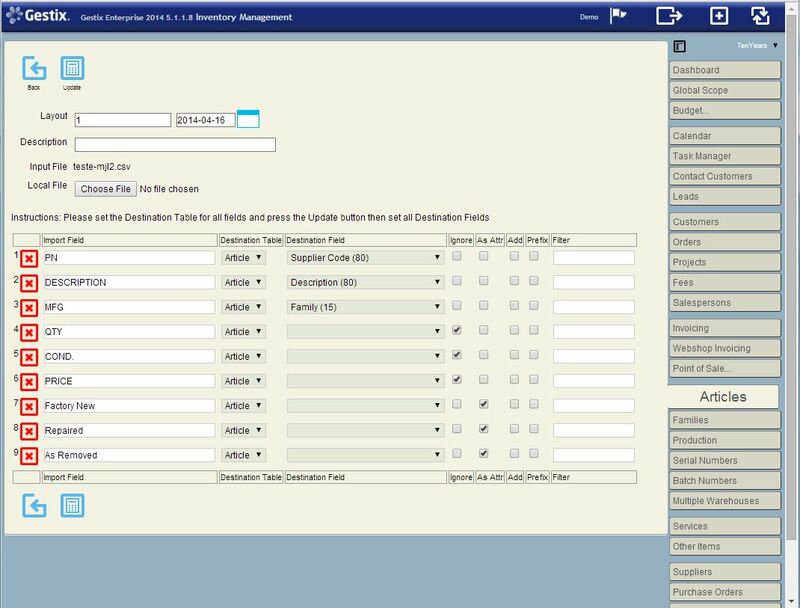 You are then able to specify which documents to consider by selecting/deselecting their series on this screen. 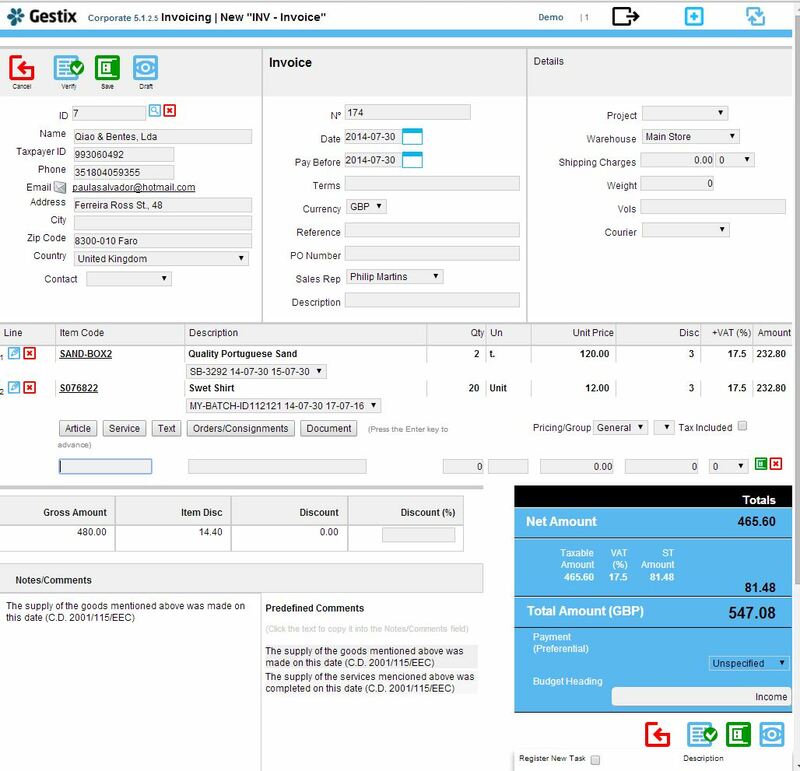 Either place a check mark in every document to be considered or leave all unchecked for enabling Gestix to select automatically all the sales documents. 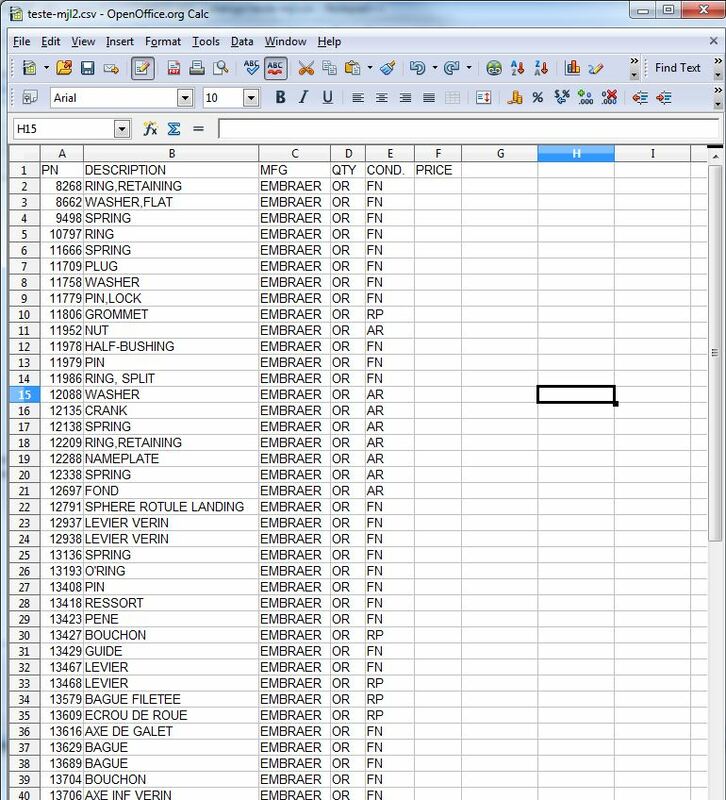 Serial Numbers are used for individual product. 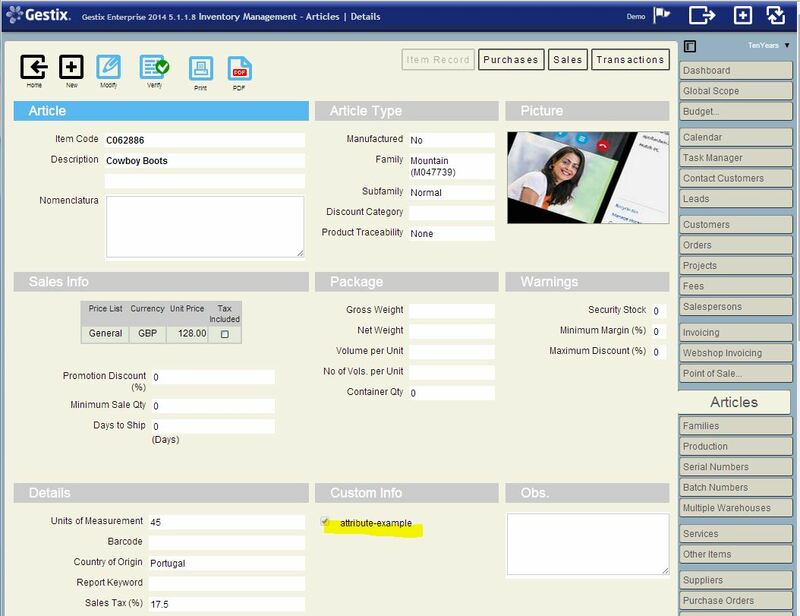 Batch numbers are used for lots of a product sharing some properties like production and “best before” date. 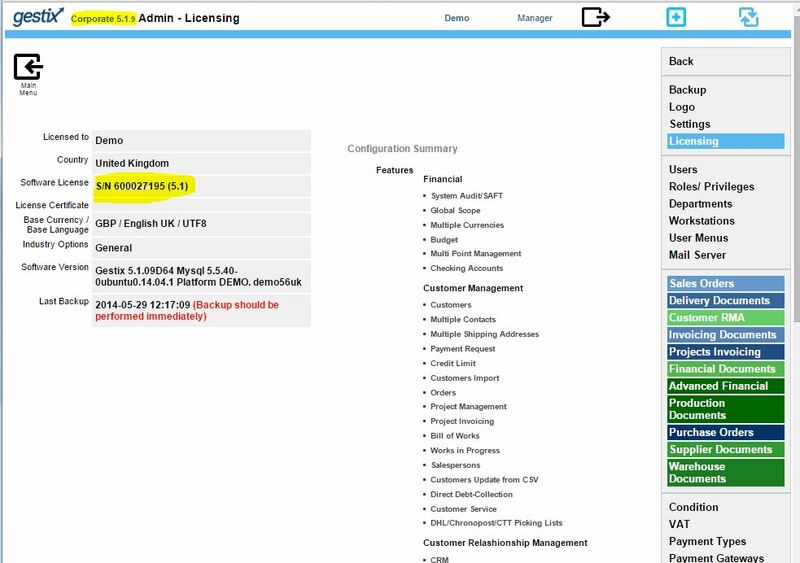 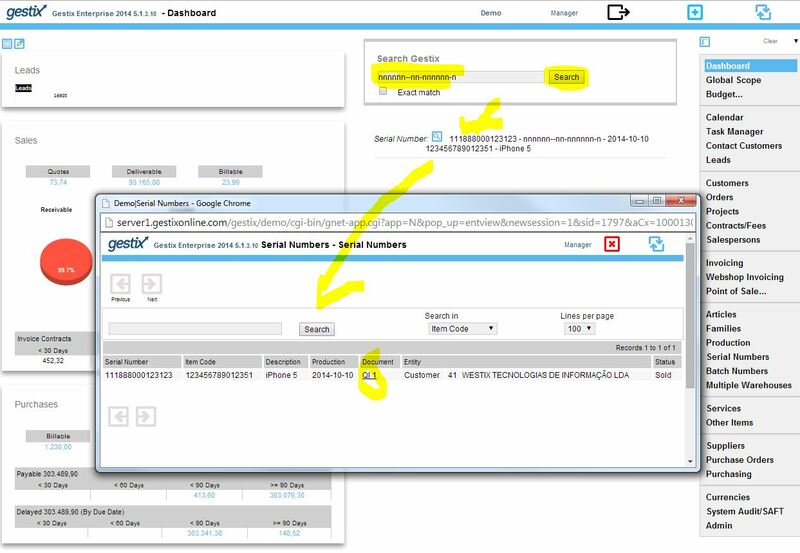 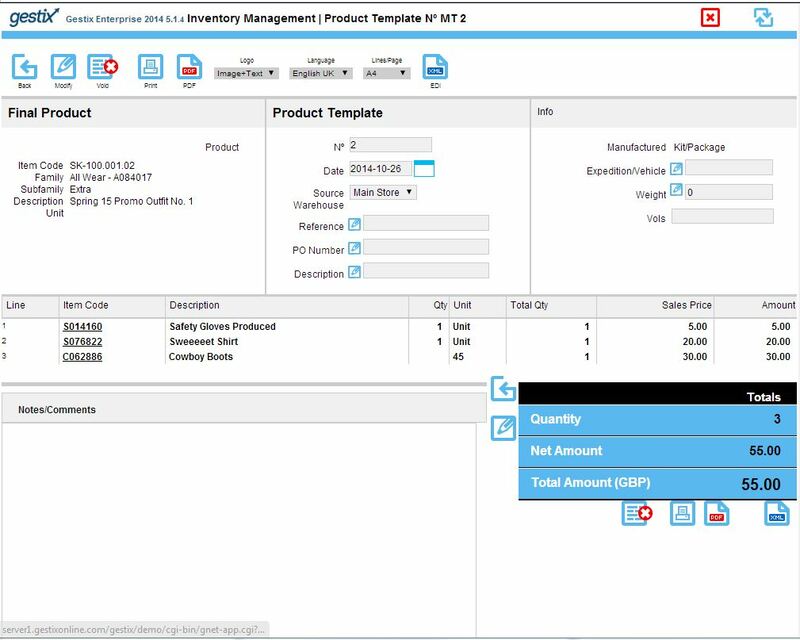 b Enterprise enables you to choose which products to handle Batch/Lot numbers and which products to handle serial numbers like smartphones, computers, and automobile parts. 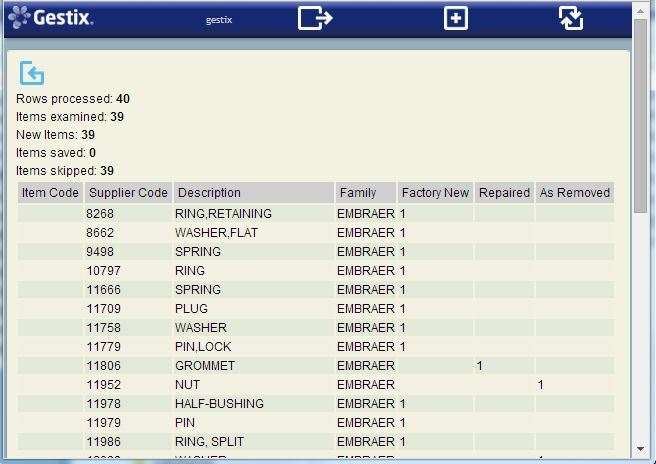 Avoid losses due to produce validity and warranties issues, while meeting common standards and best practices in produce traceability. 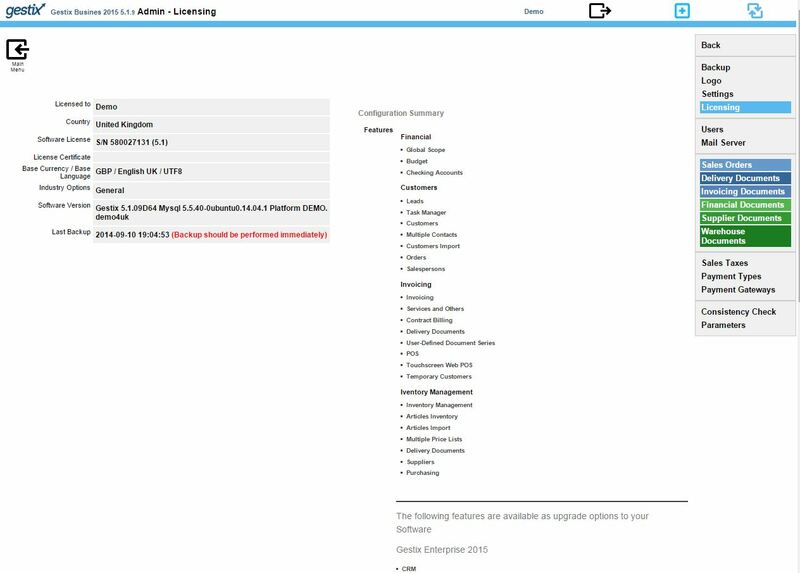 Each unit in stock is assigned a unique id along with other information related to that particular unit or piece (see here an example of application in aircraft parts trading). 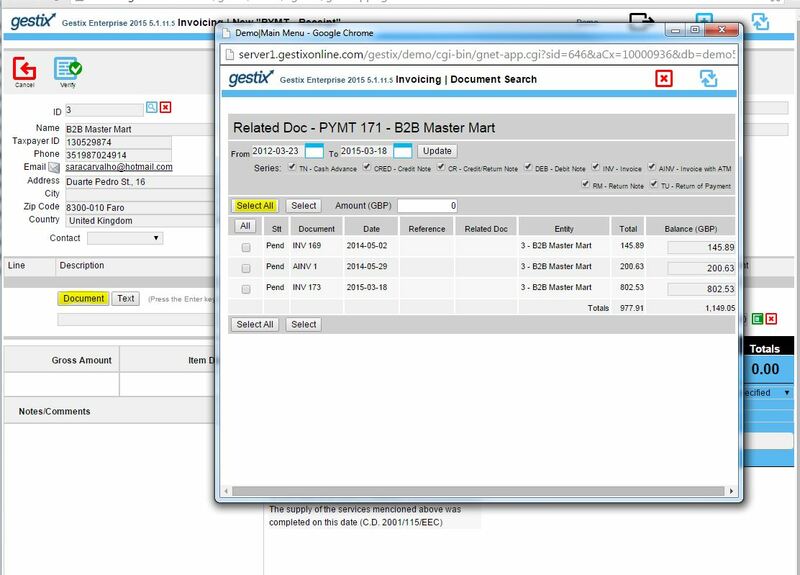 A unique id file is assigned to a particular quantity of product, along with other information relating to that batch of product, including product date and expiration date. 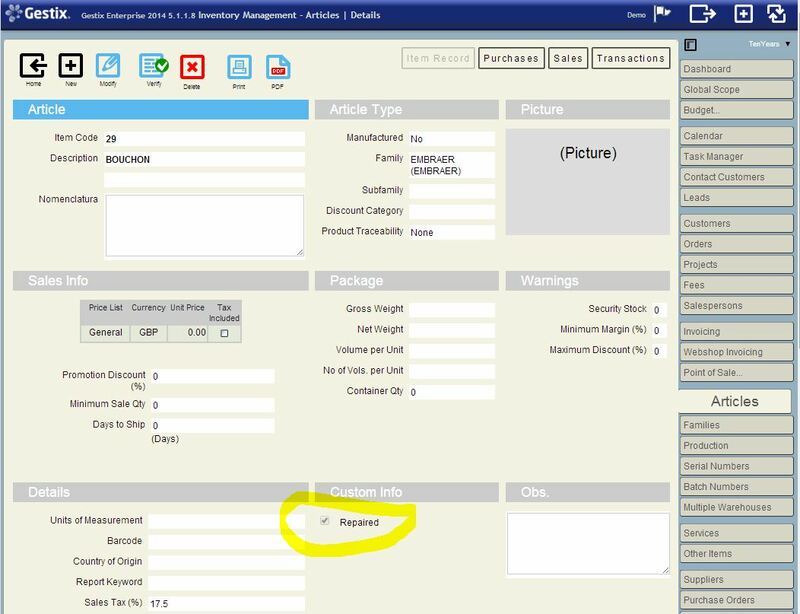 To enable one of the methods, edit the Product Traceability field in the article record, and choose Batch Number. 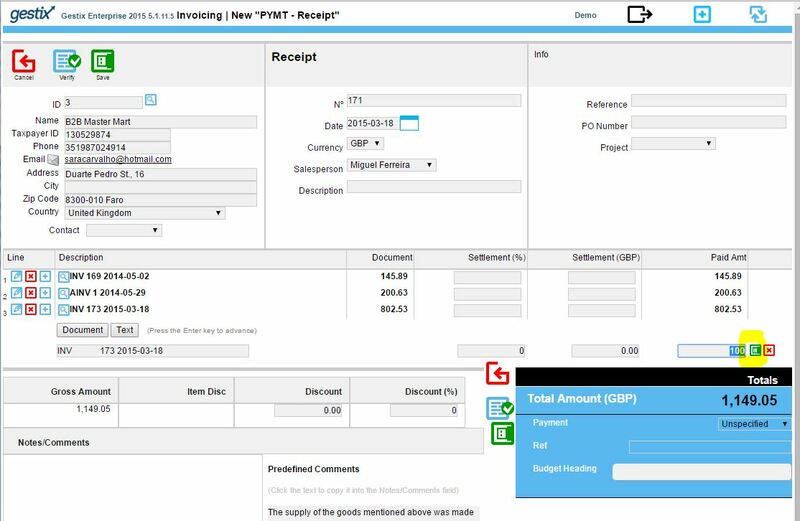 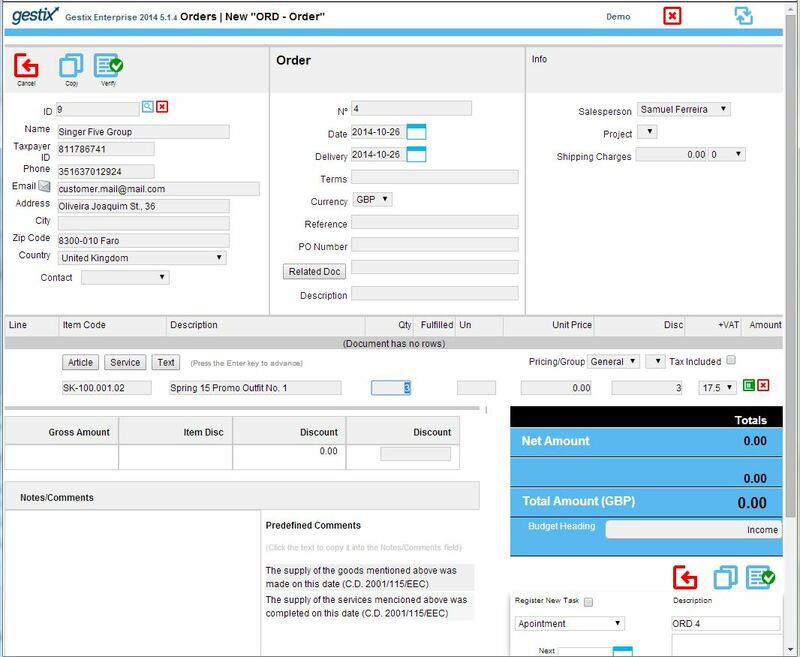 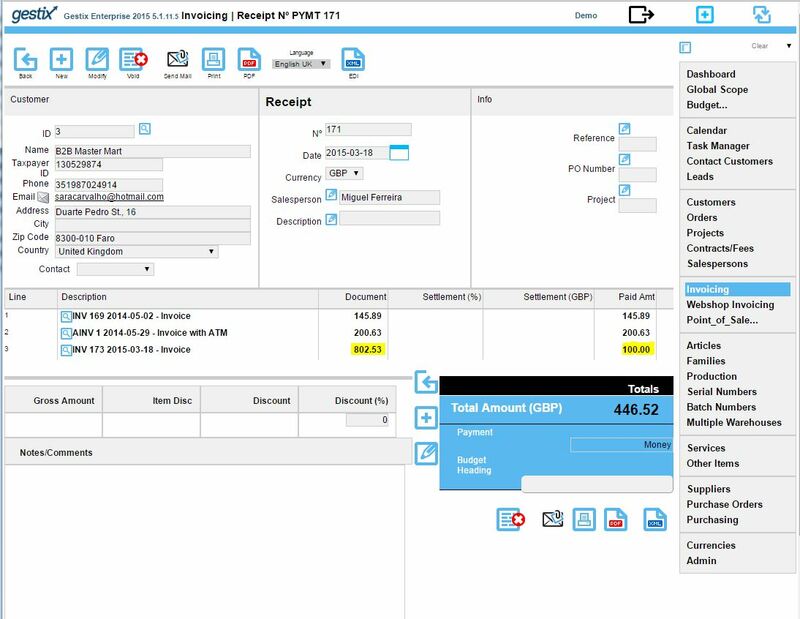 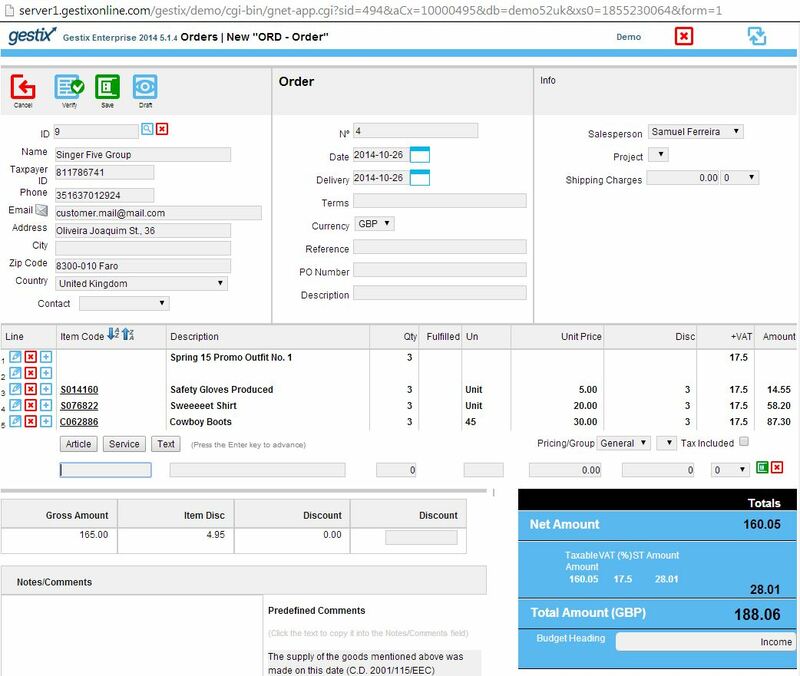 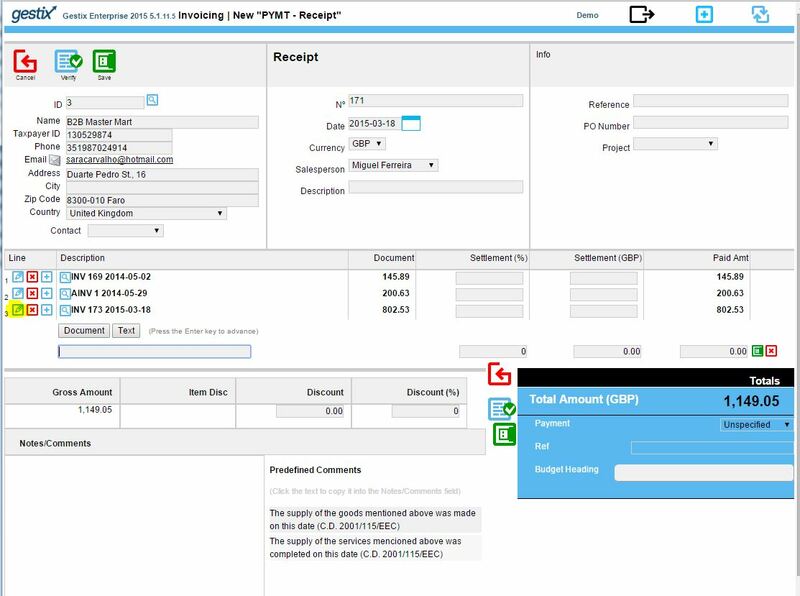 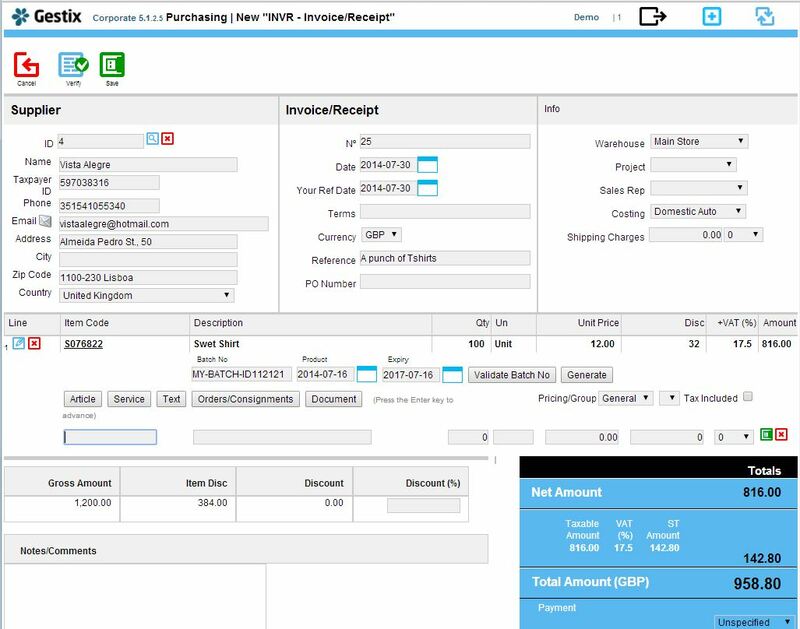 Enter purchases, manufacture orders, and stock receipts with batch numbers being assigned by the operator or generated by the application. 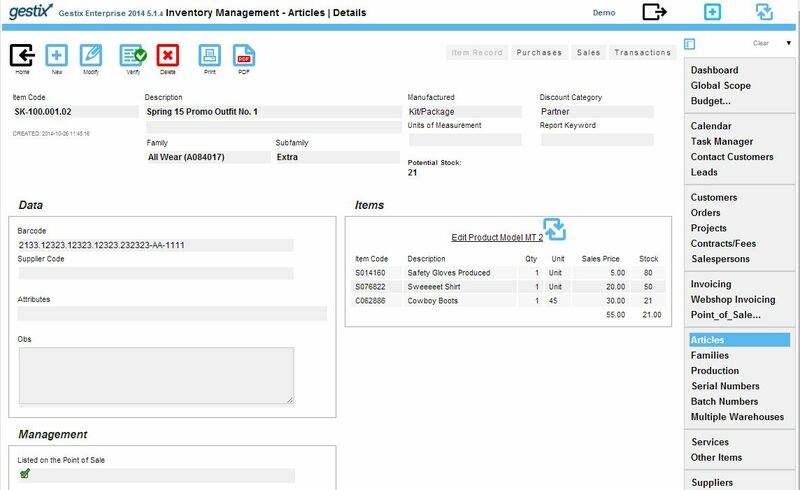 On sales, identify the batch of each tracked product by selecting it from the drop list. 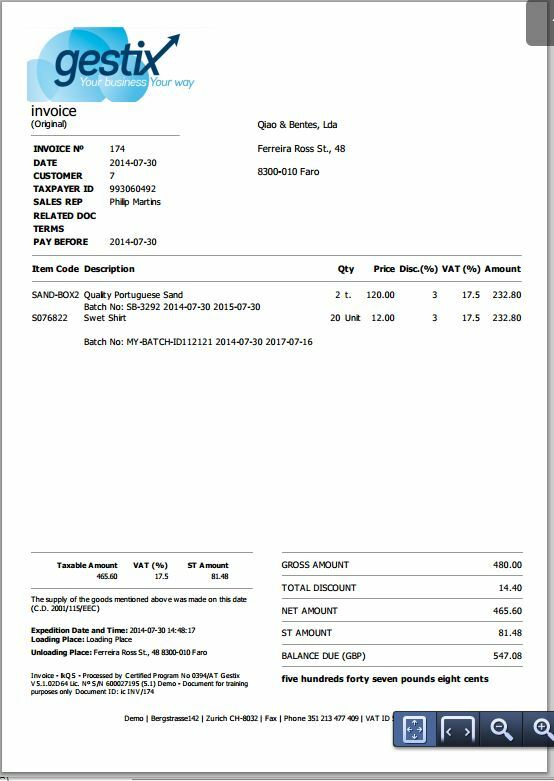 The final bill shows the relevant information for each item including batch id and dates. 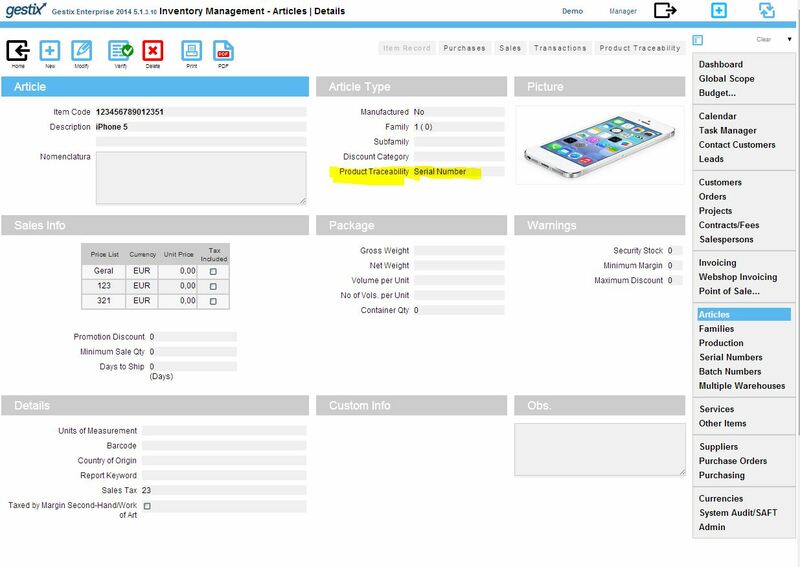 When maintaining a large base of articles during several years, it may be convenient to tell the system to ignore past moves relative to a user-specified date. 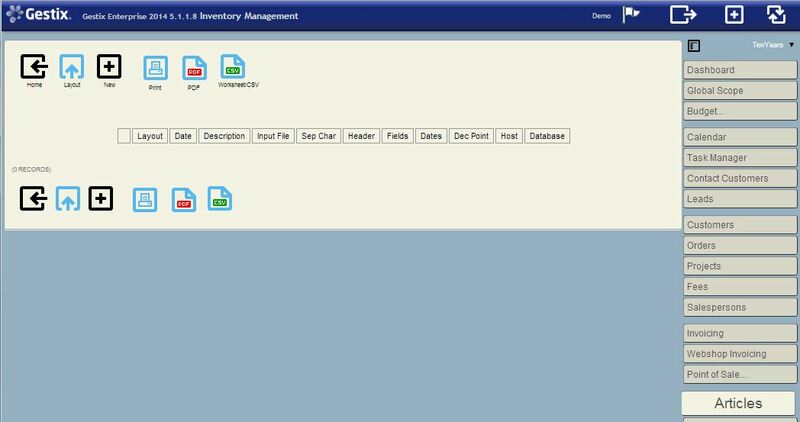 This procedure will modify the stock readings in article records and inventory reports without removing or modifying any records in the database. 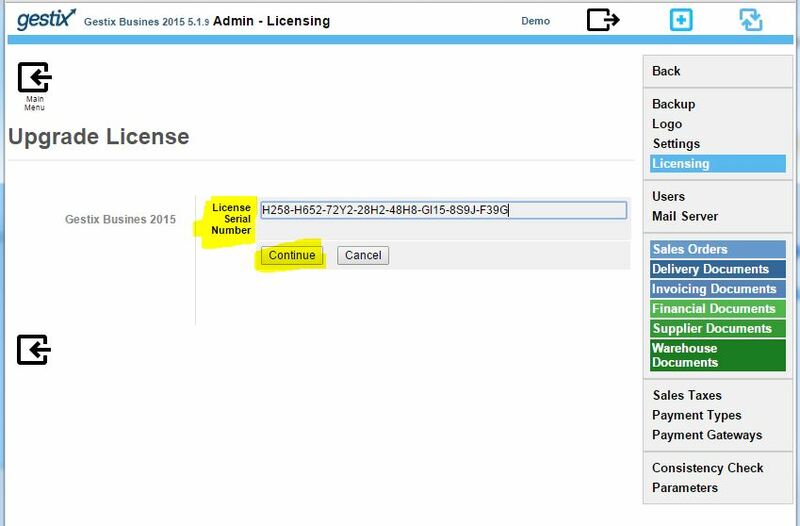 Open the Admin | Parameters menu and edit the usr_stock_date parameter. 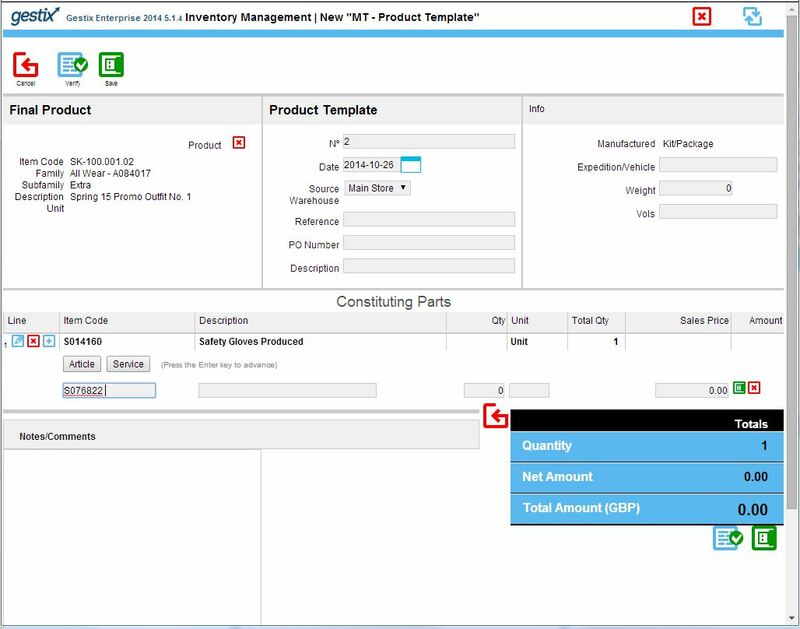 Specify the Inventory Beginning Date, in the form YYYY-MM-DD. 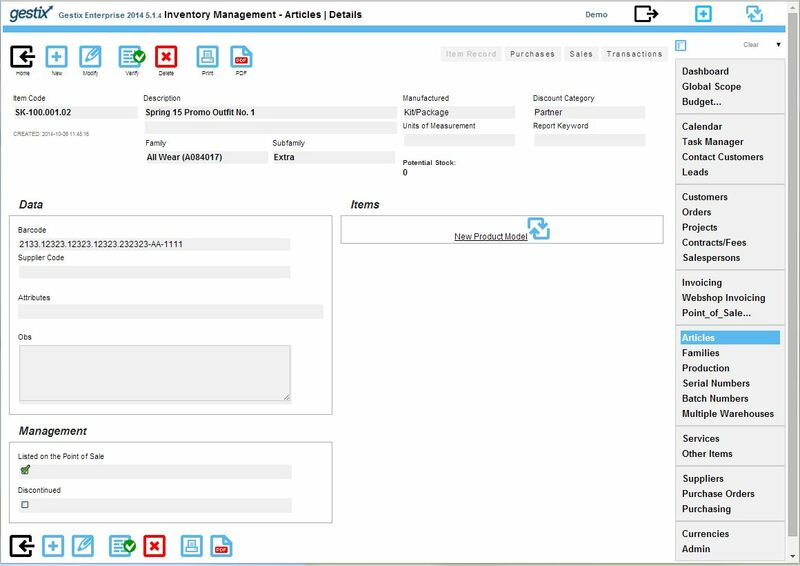 This will be the date from which the transactions are to be taken into account for inventory purposes. 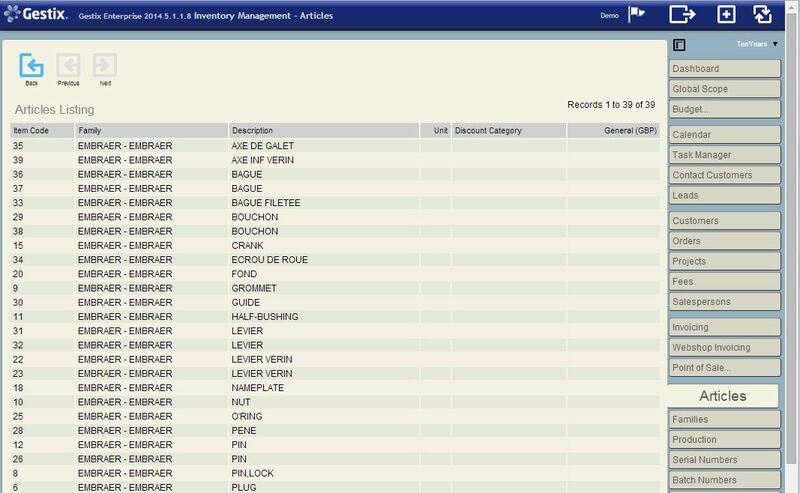 In this example, we have a database with about four years of stock transactions and want to make the system consider only transaction from 2014-04-01 onward. 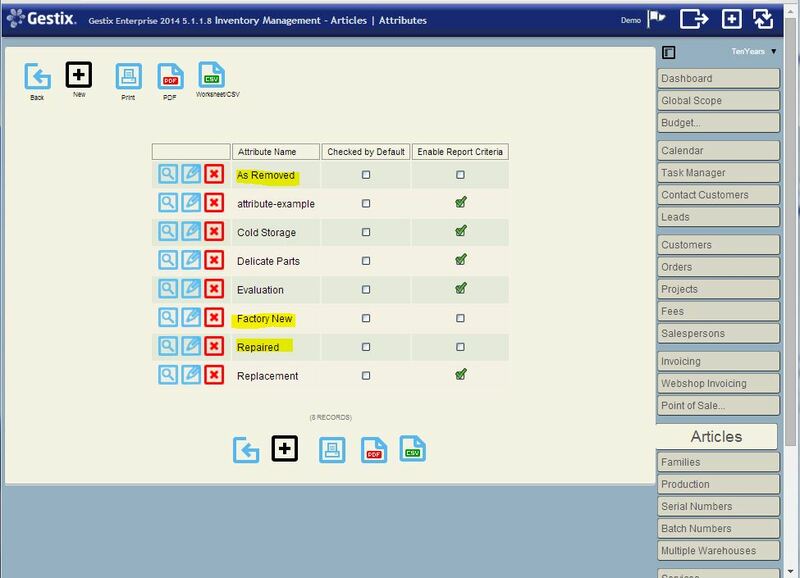 Save the parameter and open the Consistency Check menu. 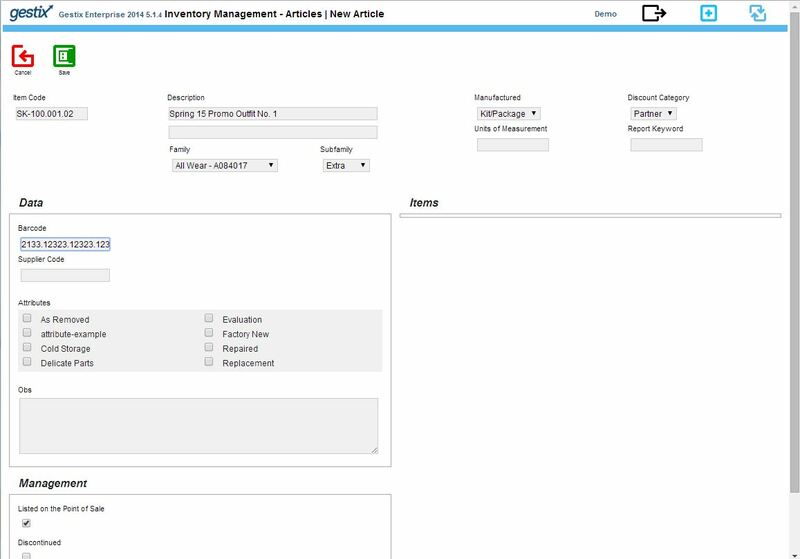 Press the “Check all items” button. 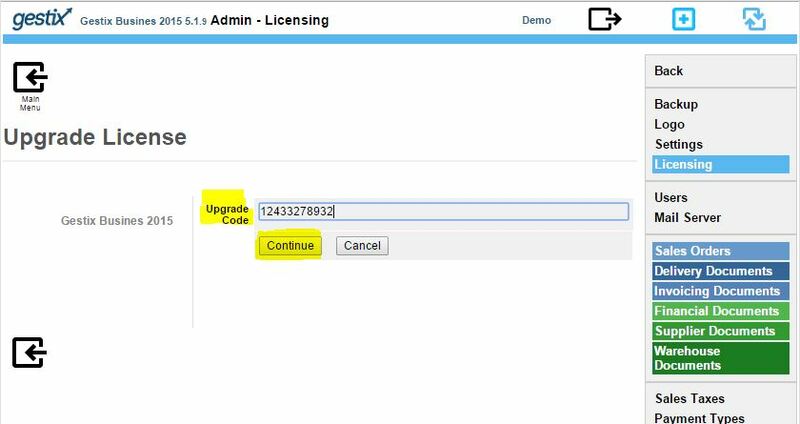 Press the Progress button to check the progress. 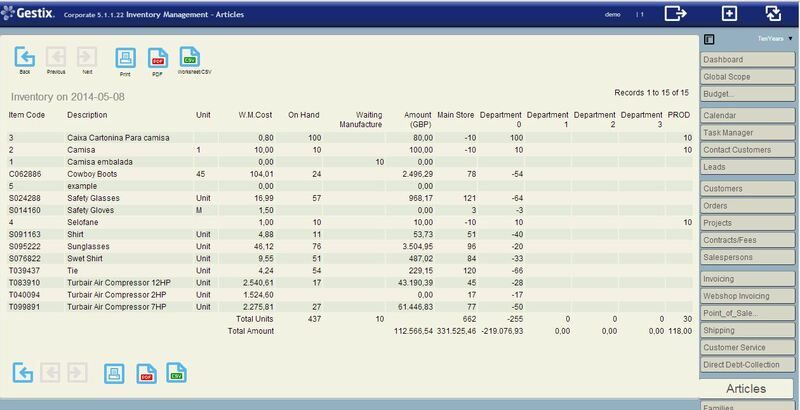 When finished, get the inventory report. 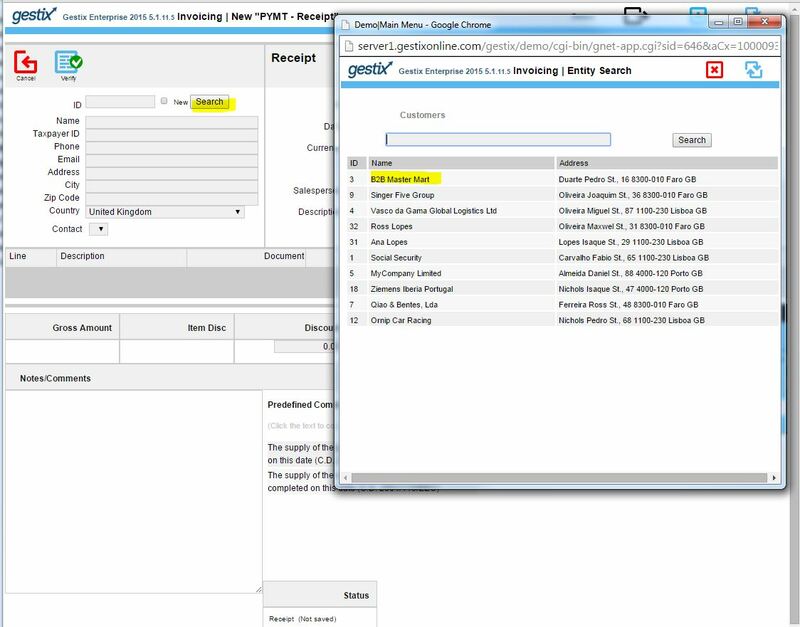 It will show the expected results. 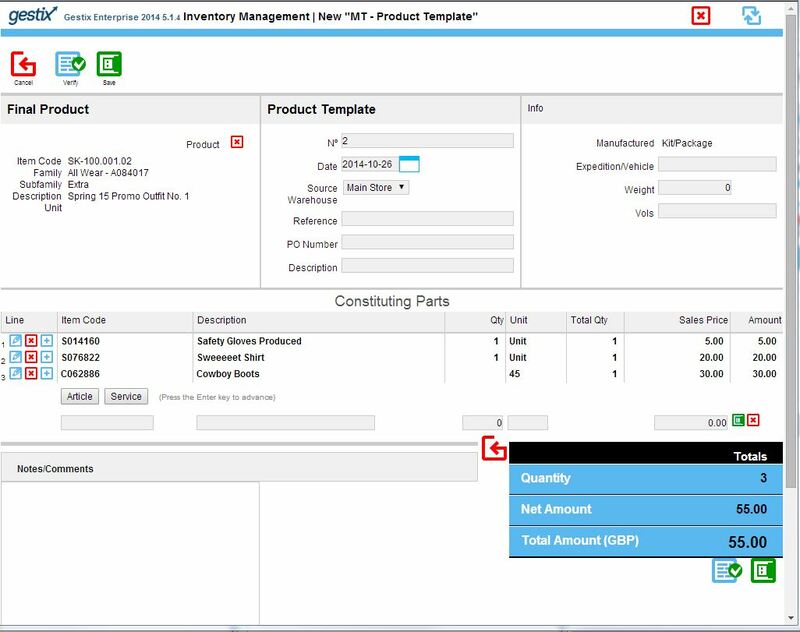 There are two ways to enter the counting into the system on the new Inventory Beginning Date. 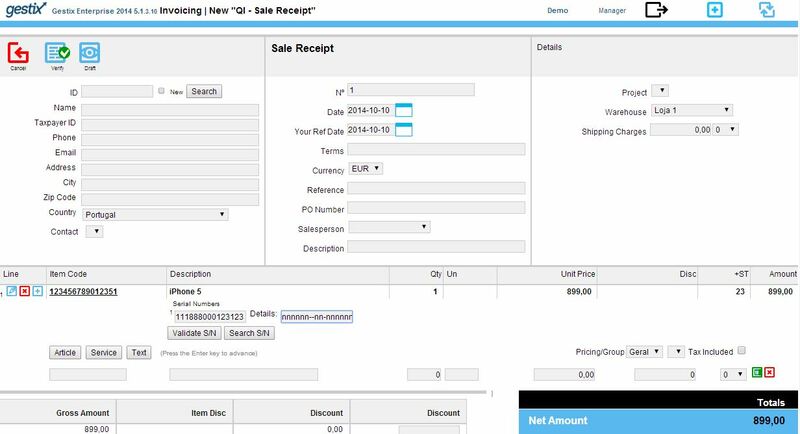 One is by entering warehouse receipts or purchases. 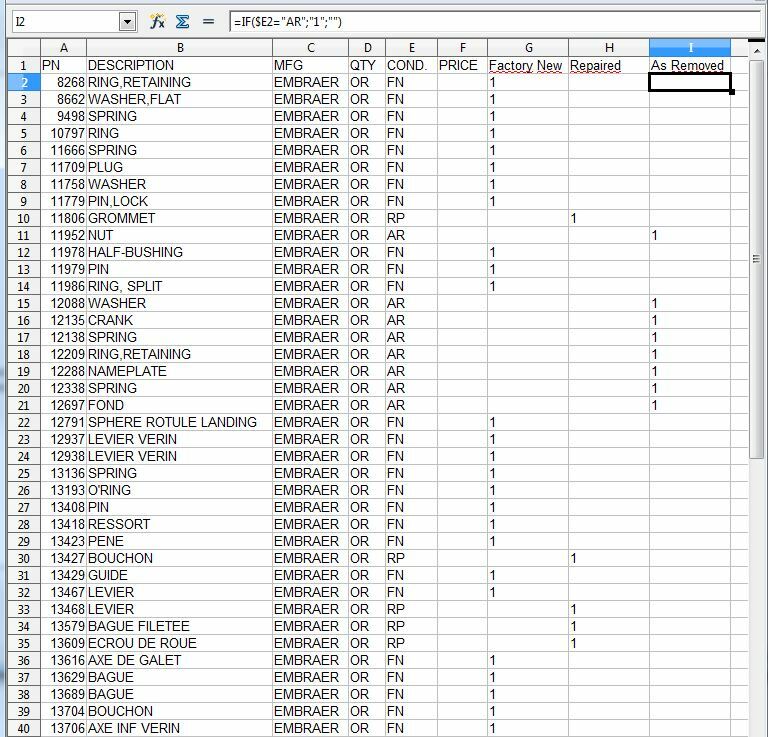 Another one is to import an excel-csv file with inventory count for each article, using the Data Import menu of the Gestix Enterprise. 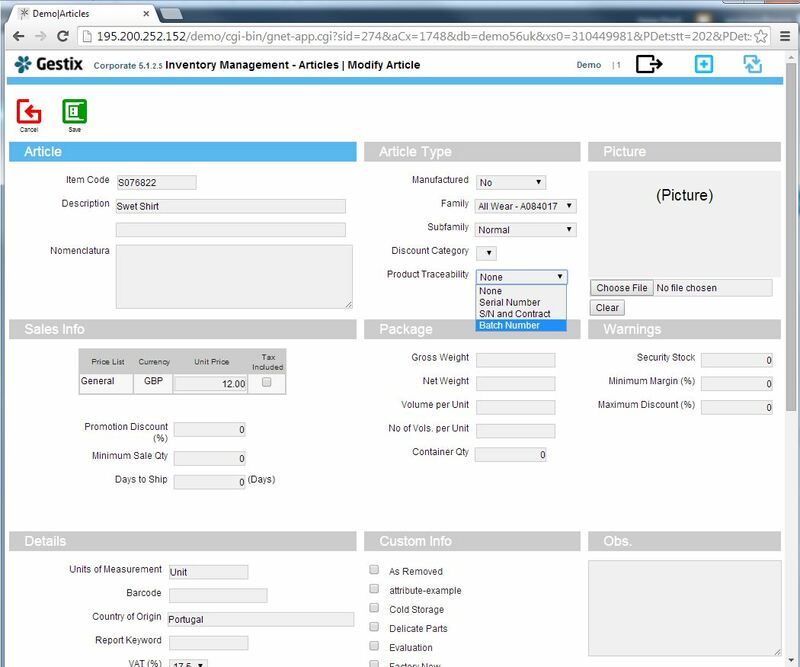 In this case the default warehouse will be used to enter the stock counts.